Took this one today at Eldora. Very windy and nicely sunny day. Not too busy for holidays, good thing its mainly used by locals, as everyone else go to the big and fancy resourts west from here, with hotels and all that type of important vacation infrastructure. I did a few more runs today than last time, getting bit more comfortable. Thinking maybe getting GoPro camera and record my slow progress. The problem is that I use to use one a few years ago and I don’t think I have ever got to load anything from it, the tools were too complicated and I never got to use any of that footage. Plus for it to be watchable using a gimble is a must. 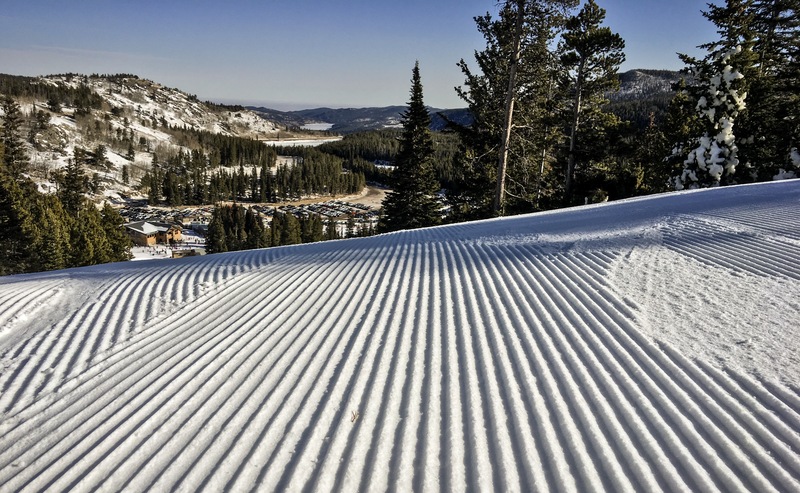 This entry was posted in Colorado, Eldora Mountain Resort and tagged Fresh Tracks. Bookmark the permalink. Lovely view, and a nice shot! I was interested in the fact that the groomers leave a deeper groove than when I used to spend my weekends skiing.